Look through a Telrad and see where you are looking! To see objects through a telescope it must be pointed to exactly the right spot. The Telrad is a sight for pointing telescopes to that "right spot". Through a Telrad you see the sky the way the star charts show it. Not a small upside-down portion of it , but the "real sky" with three illuminated target rings set against it. The large ring is 4 degrees across. It outlines the area covered by a finderscope. The small ring is 1/2 degree across and outlines the area seen in the telescope. 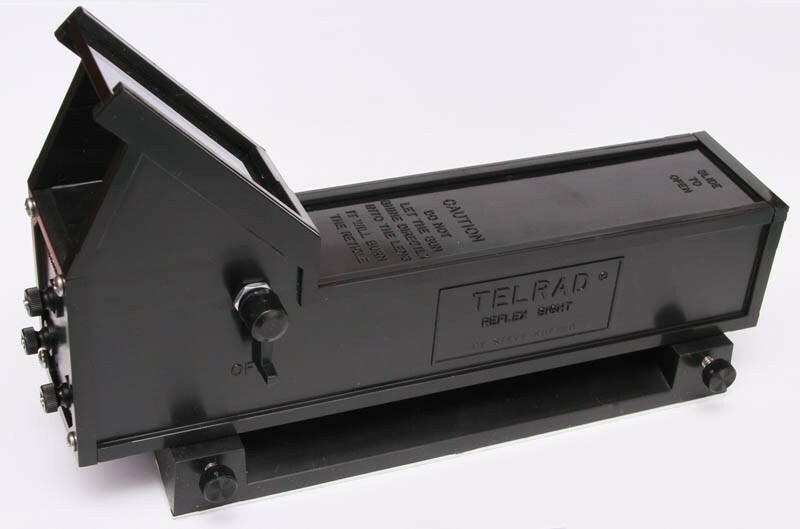 The Telrad is 203mm (8 inches) long, weighs 312 g (11 ounces) and mounts on any telescope without drilling holes. It unlock from its base for separate storage. 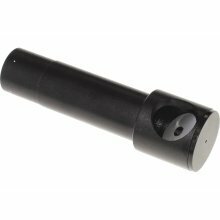 An unprecedented in the UK range of accessories and replacement parts are available from 365astronomy.